The year is 1829, and a young man of about 18 years of age has just pulled into the cold, blustery ports of Antwerp. Within three years, he will come under the tutelage of two esteemed Dutch painters, Cornelius Kruseman and Andreas Schelfhout. This could be the beginnings of any European painter but the young man isn’t from the continent. He hails from Java and his name — Raden Saleh — is one that will be spoken of in the art world for centuries to come. For not only was he a talented artist; he also successfully negotiated the power dynamics between the coloniser and the colonised. Over 50 of Raden Saleh’s art works will be on display at National Gallery Singapore alongside those by acclaimed painter Juan Luna from the Philippines in an exhibition titled Between Worlds: Raden Saleh and Juan Luna. This exhibition is one half of the Century of Light showcase, a special presentation which also includes Colours of Impressionism: Masterpieces From The Musée d’Orsay, which features over 60 paintings by artists like Claude Monet, Auguste Renoir, Edouard Manet, and Paul Cézanne. 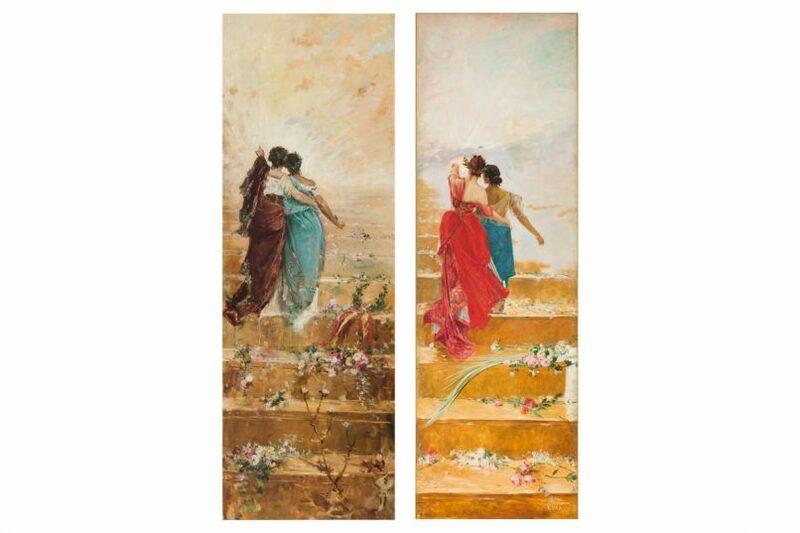 Left: Juan Luna. España y Filipinas (Spain and the Philippines). 1884. Oil on canvas. 229.5 x 79.5 cm. Collection of National Gallery Singapore. Right: Juan Luna. España y Filipinas (Spain and the Philippines). c. 1888-1893. Oil on canvas. 249.3 x 79.5 cm. Collection of Lopez Museum and Library. Both exhibitions offer the rare opportunity to see key art works in this region for the very first time, brought together and showcased in one place from disparate European, American and Asian collections. With a strong focus on 19th century, it examines how art was transformed as it entered the modern world. Raden Saleh and Juan Luna may hail from different parts of Southeast Asia but their lives and career trajectories speak of a similar tale – that of promising young men who travelled to Europe, became successful heroes and are now considered national heroes in their home countries. This exhibition will outline the comparative journeys between these two accomplished artists, tracing their lives, training and shifting styles. Set against the backdrop of the socio-political climate of the period, when much of Southeast Asia was under colonial rule, the exhibition shows how these dynamics influenced their practices. 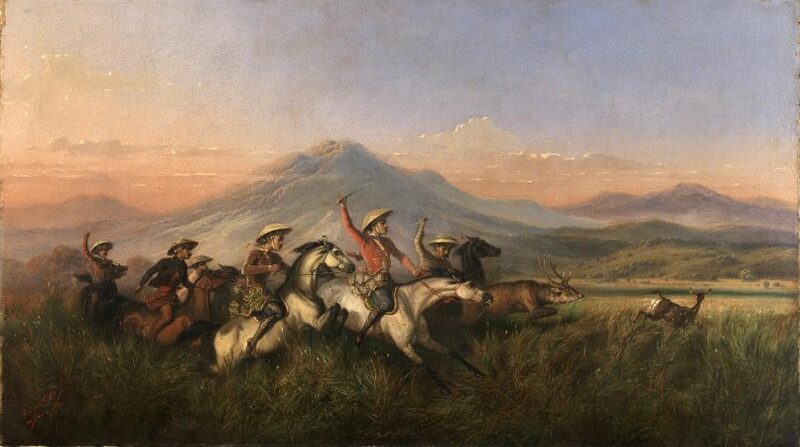 Expect to see 100 artworks, including Raden Saleh’s Six Horsemen Chasing Deer, painted in 1860, as well as two versions of Juan Luna’s España y Filipinas (Spain and the Philippines) from 1888 – 1893. Where Between Worlds profiles Southeast Asian luminaries, Colours of Impressionism delves into the heart of Impressionism in Paris – where a style of painting emerged that is characterised by rapid brushstrokes and pure, vivid colour, often painted outdoors to capture the landscape. Its adherents consciously moved away from the fixed traditions of academic painting, preferring instead to paint the changing world around them and depict the fleeting effects of light. Claude Monet. Le Bassin aux nymphéas, harmonie rose (Water Lily Pond, Pink Harmony). 1900. Oil on canvas. 90 x 100.5 cm. Bequest of Count Isaac de Camondo, 1911. Collection of Musée d’Orsay, Paris. RF 2005. Photo © RMN-Grand Palais (Musée d’Orsay)/Hervé Lewandowski. Over 60 art works from the Musée d’Orsay in Paris will take up residence in Singapore for this exhibition, including stunning paintings by Renoir, Manet, Cézanne and Monet – considered the father of Impressionism. 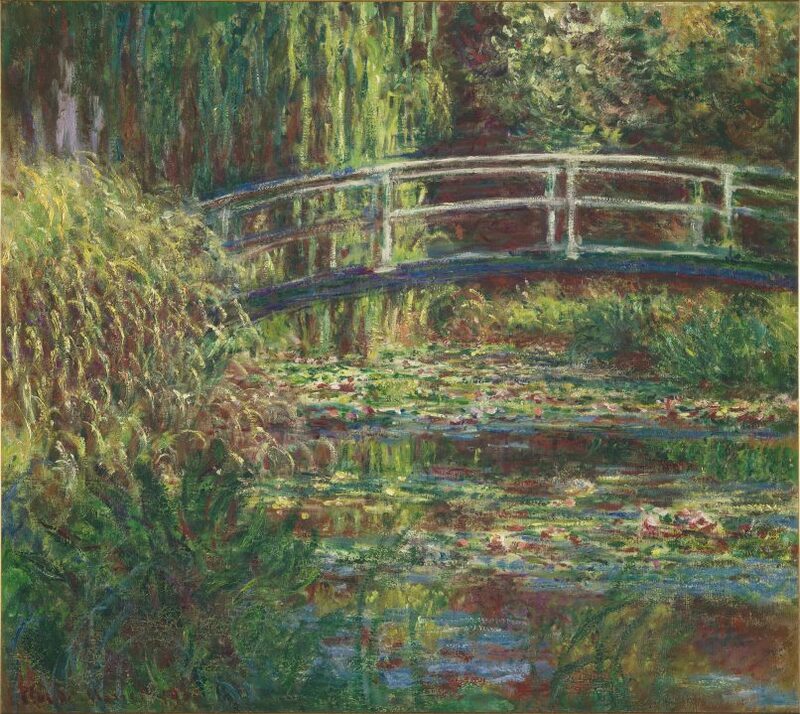 Visitors will be taken on a journey exploring the different colours that painters used throughout their careers, including the lush greens of Monet’s Le bassin aux nymphéas, harmonie rose (Water Lily Pond, Pink Harmony) 1900, as well as the rosy pink hues used to depict the female form in Renoir’s Gabrielle à la rose (Gabrielle with a Rose) 1910. National Gallery Singapore’s Century of Light runs from 16 November 2017 to 11 March 2018. Click here for admission tickets.